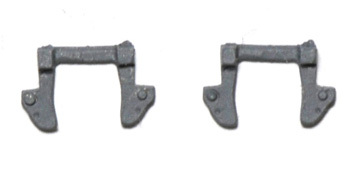 An optional addition to cosmetic bogie sides. Also suitable for detailing other manufacturers bogie kits or for use with proprietary, plastic bogies. Contains 8 pairs of shoes (2 pairs illustrated) - enough for a two bogies.